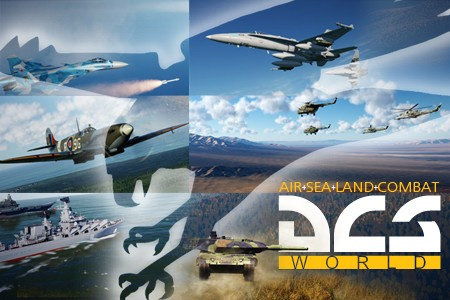 Since Eagle Dynamics has turned all of their separate games into modules for their DCS World wotcha, it’s only fitting to make an individual thread for all of them together. 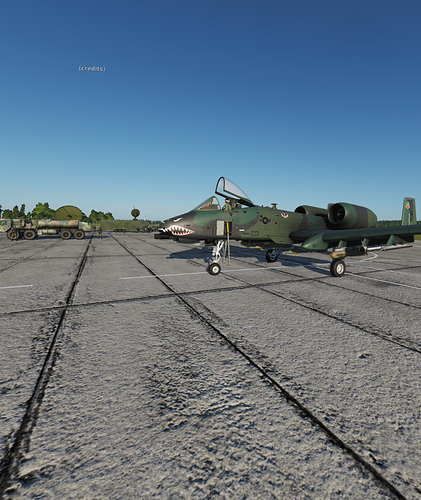 Whether you’re so archaic as to prefer the P-51, so meatbricks-for-hands as to be limited to the straight lines and gentle turns of the A-10C, so flat-out strange as to like the Su-25T, or so possessed of a surgeon’s touch as to properly and precisely employ the scalpel that is the Ka-50, you can talk about your aircraft of choice here. 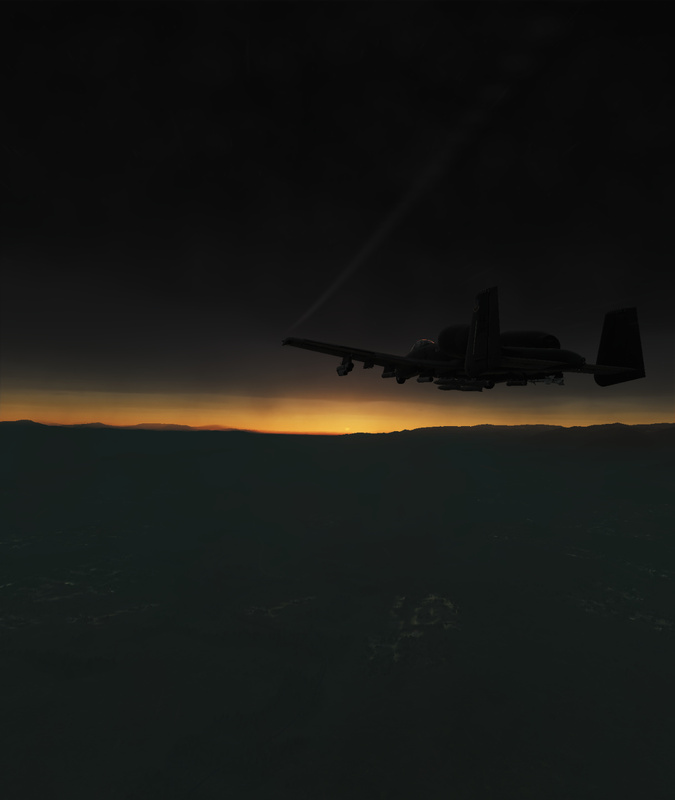 As you can tell, the only one I fly right now is the Ka-50, which has proven to be very different from anything I’ve simulatedly flown before. My modern flight sim experience begins and ends with Falcon 4, and the F-16 has the standard American cockpit: everything on MFDs, with labels on the buttons to tell you which one does what. The Ka-50, on the other hand, only has electronics for targeting and navigation. Everything else is switches. On top of that, the Ka-50 only has a laser warning system to detect threats, which means you don’t get any warning of the missiles you can do something about, and you do get warning for the ones you can’t easily avoid. C’est la vie; it makes tooling around the battlefield more exciting. Speaking of tooling around, I had an easier time than I expected learning to fly a helicopter, and, having started on Friday, I’m at the point where I can slink around behind hills without running into them, and even pull into hovers at the spot I want to without gaining or losing too much altitude (helicopters are slooow to decelerate). I’m still pretty bad when it comes to fancy helicopter maneuvers like sideslips and fast turns, and if I’m noticed by AH-64s I’m in trouble. Anyway, I remember that there was a pretty decently-sized A-10 thread around the time that module was released. That’s my flight-simming friend’s aircraft of choice, so while he waits for his head tracker to arrive, I’ve been investigating multiplayer options. There’s a Teamspeak 3 plugin and DCS mod called TARS that models radio communications: it queries frequency and modulation type, then mutes and unmutes players in TS3 accordingly. It even simulates line of sight problems, so a helicopter skulking in a valley might have problems talking to an aircraft below crest of the ridge on the far side. Between that and the relatively easy ways to get lat/long from one aircraft’s systems and into the other’s, we think we could do pretty well at a cooperative mission. Over the past week or so, I’ve discovered that I simply cannot fly a helicopter well if my framerate drops below about 20fps or at all if it hits 15; apparently, the visual cues I rely upon don’t happen frequently enough below those thresholds to give me the time to respond to them. In that vein, I’ve been trying to figure out an ideal setup for my PC. As far as I can tell, there are three major framerate-killer options: HDR, water quality, and mirrors. Disabling or de-qualityfying those three bought me an easy 10-15 extra frames per second, which has moved me from the bottom end of playable up to a level where I’m considering increasing tree draw distance again. I hope this’ll be useful for someone else who can’t really play because of performance problems. 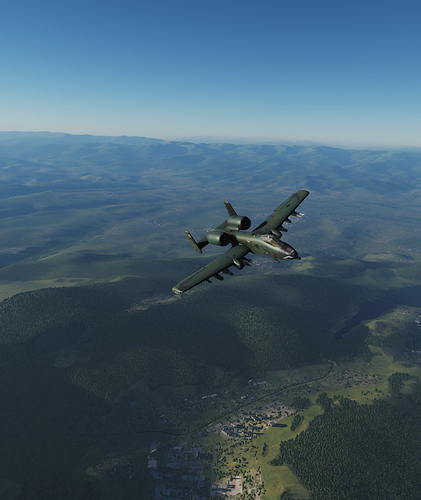 Relatedly, I’ve heard from multiple sources that updating to the DCS World version (1.2.0) of A-10C and Black Shark 2 has cost them significantly in framerate; my friend’s GTX 680 dropped from 60 to 40. Hopefully future patches/updates will buy some of that back. I wrote a quick single-mission AAR at Broken Forum, in case anyone’s looking for a reason to buy (or not buy) Ka-50. I hope to do a similar writeup for one of the A-10C and Ka-50 co-op missions I’m planning with an old college pal. Wow, that is an awesome AAR. Thanks! from strange foreign jets (viggen) to the MiG’s we feared in the cold war to the mighty Tomcat and the glorious Hog (and no that thing can maneuver @Fishbreath, just dont overload it) There’s choppers and bomb-droppers and wing-loppers. Also VR. If there ever was any reason for VR to exist, any showcase, this is it. Even just sitting parked is an interesting VR experience to almost anyone, let alone an aircraft fiend. So arise old thread. Live some more. So with the impending release of a bunch of new VR hardware - anyone had thoughts on which might be the best one for flight sims? Jury’s still out on those. Wags, the producer of DCS got a rift S and was very content with it. ED has recently promised 50% improvement in VR performance. Seeing how that goes will go a long way towards determining VR upgrade path. Ideally, you want as good resolution as you can get. The Rift S ain’t it. HP is coming out with one that looks real promising. All that lovely resolution is ruined if frames can’t keep up though. Thus the wait and see before being able to recommend anything. One of the things I really love about DCS is the mixed era planes. You can play out all sorts of what if scenarios. 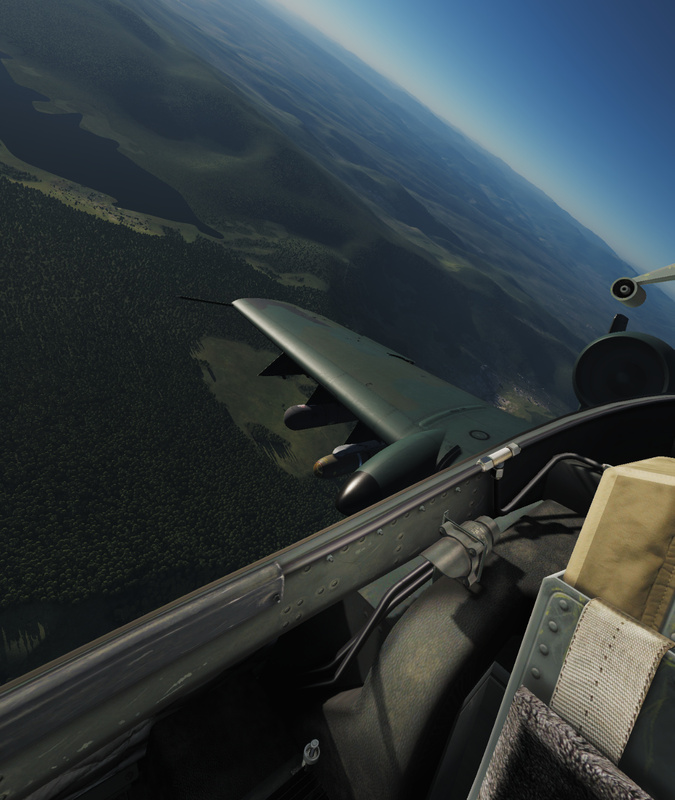 The other day I was tooling around in a Spitfire and wanted to see if I could down a giant IL-78 (modern fuel tanker sized jet). Really interesting results. I could not bring that thing down for the life of me. It was pointed out to me to go for each engine. That was challenging but doable. What fun! Like taking down a boss. Yeah I learned how to do that from one of the Sabre ‘instant actions’ which has you intercept an Il-76 over Nevada. Bringing that down with 50 cals, even 6 of 'em takes precise aim at vital parts. Shooting the tail off is viable too. I’m in for the C-101 and Mirage. The C-101 especially is great, as an analogue trainer with cool anti-ship missiles. Mirage is getting an overhaul as directed by the French Air Force who love it and want it to be more authentic. Or maybe it’s currently too authentic. Been a year since I got back into this game/genre and still going strong. So many great planes and terrains improving weekly there is always something new to do and see in this game. Persian Gulf has been finished and is a real gem. A bunch of historical sites are in there now and I am completely amazed how detailed they make everything since mostly you are miles above it. The guy who makes marketing movies for DCS is super talented. Here is the latest celebrating Persian Gulf final release. mostly you are miles above it. I’ll eventually get to the Helos. Black Shark been calling my name for awhile. Haven’t looked into Arma 3 yet. Your post makes me want to. I wrote a partial guide to the Ka-50, which is up on the Steam community hub. Understanding the autopilot is crucial to enjoying it, and a lot of the resources out there tell you to start out in a way which will instill bad habits. Feel free to give me a ping when you’re starting out. (Or maybe a little before, so I can fly some refamil. :P) The Ka-50’s still my favorite flyable out of the bunch. I think it’s due for a cockpit overhaul soon, too. Arma 3 is a much better infantry simulator than flight sim, but its helos are the best of its aircraft, and since the ground is made to be walked on, you really get a good sense for height and speed when you’re flying over it. Can you wreak unholy destruction on all that, with everything being destructible? If so, do skyscrapers come down realistically or just convert to a damaged prop? Only some buildings are destructible. Ammo dumps and whatnot have great secondaries too. I haven’t gone after a tower, but I would expect not. After 9/11 they got really sensitive about letting airplanes ram or blow up skyscrapers. I kinda doubt the ancient historical sites are destructible either. Shame it isn’t like that in the real world. I don’t think they have modelled a ‘destroyed’ state but I haven’t really tried yet tbh. Like @Anklebiter says, ammo dumps are a way more fun target, secondary fireworks for days. Plus you need to hit them dead on with a big ol’ bomb or they won’t go up. I did try to blow up the Vegas trump tower, fugly abomination that it is, but it will only smoke a bit, even after eating multiple 2000 pounders to the base. I even kamikaze’d it a couple times. I think it’s due for a cockpit overhaul soon, too. Yeah, externals too but it’s taking a while… A-10C is also due a new cockpit and externals. At least the hog pit is functional. I can’t fly the blackshark without knowing the state of those big blue square buttons at your right thigh. I would personally rate it above the Nevada and Normandy maps, even though there isn’t much content on the market for it (no DLC campaigns yet). But as a playground for your toybox, it is unequalled. I really want the Black Shark, but I can’t bring myself to pay $25 for it when I already spent fifty bucks on the now-unsupported original module. You might want to contact DCS support about upgrading your BS1 key to a BS2 (DCS) one. They might just do that for ya.